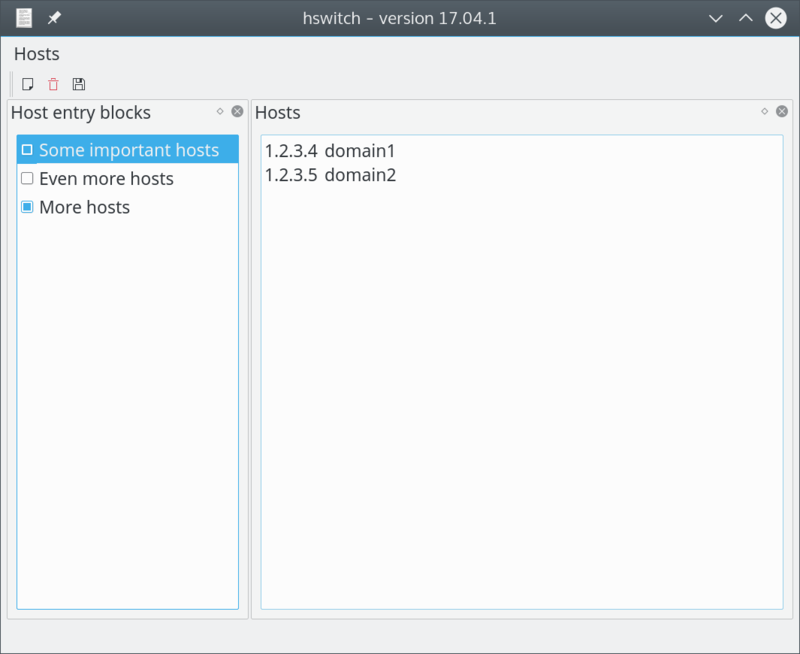 hswitch is a hosts file content switcher to modify your static ip addresses quickly for development. It's written in C++/Qt and currently only works under Linux. Revert "trying classic confinement" This reverts commit 51eeddcfdacfc16683dacaf2771979d27b1c1354. Revert "tried to fix snap build for Ubuntu 18.04" This reverts commit 9d383cbbe54705c3ed890544a30dc6784ab296fe.